Before yttrium-90 (90Y) radioembolisation (RE) is performed, a scout dose is used to predict intra- and extrahepatic distribution of activity and check for potential contraindications (i.e. excessive lung shunt and extrahepatic depositions). Technetium-99m macro aggregated albumin (99mTc-MAA) is commonly used; however, its predictive value has been discussed in the literature [1, 2]. In patients treated with holmium-166 (166Ho) microspheres a scout dose using 250 MBq 166Ho is used as an alternative, which is superior in calculating the lung shunt fraction compared to 99mTc-MAA . This may be due to the fact that identical 166Ho microspheres are used for the scout dose procedure and the RE treatment. The beta- and gamma-emitting properties of 166Ho (respectively Eβmax = 1.85 MeV and Eγ = 81 keV) may theoretically raise concerns about the safety of using 166Ho microspheres as a scout dose. An earlier study concluded that 166Ho microspheres can safely replace 99mTc-MAA in the majority of cases . However, these data were based on 99mTc-MAA data of extrahepatic depositions, theoretically translated to 166Ho microspheres; if these extrahepatic 99mTc-MAA depositions had been 166Ho microspheres, only 5.9% of patients would have excessive absorbed doses in extrahepatic tissues . This toxicity assessment was performed because of a lack of events after 166Ho microsphere scout dose procedures. Since then, a 166Ho microsphere scout dose (166Ho scout dose) has been used in several clinical trials. Several events in the use of an extrahepatic 166Ho scout dose were observed that warrant a re-evaluation of the previous theoretically based safety assumptions. To assess the safety of the 166Ho scout dose in clinical practice, the general toxicity of a 166Ho scout dose was studied. Additionally, the absorbed dose in extrahepatic tissue in all patients with an extrahepatic 166Ho scout dose deposition was calculated and clinical record forms for potential complications due to these extrahepatic depositions were reviewed. All patients who had been treated with 166Ho microspheres since the start of its clinical use were included, i.e. from November 2009 till January 2016. All patients included in this study participated in a prospective trial with 166Ho microspheres (Table 1 [4, 5, 6, 7]) and written informed consent was obtained for all patients at study inclusion. All data were gathered prospectively and all studies were approved by the institution’s Ethics Committee prior to patient inclusion. Results of 15 patients treated with 166Ho radioembolisation in the HEPAR trial have been published previously . This earlier article dealt with development of the 166Ho microspheres as a therapeutic agent, whereas this current study provides additional information solely on the toxicity of the 166Ho scout dose of those patients. The scout dose with 166Ho microspheres was aimed at 250 MBq in all study protocols and administered intra-arterially. The 250 MBq was divided amongst the injection positions according to the targeted liver volume. All patients received the scout dose administration in the morning prior to the therapeutic 166Ho dose administration in the afternoon on the same day. In patients with an extrahepatic deposition, additional volume, activity and dose quantification on imaging studies were performed and discussed separately (details in the next sections). Clinical record forms were evaluated for any adverse events during or after the 166Ho scout dose procedure and prior to the radioembolisation treatment with 166Ho microspheres. They were scored according to the Common Toxicity Criteria for Adverse Events (CTCAE) version 4.03. Angiography procedures were performed by experienced interventional radiologists (>3 years’ experience) and SPECT/CT readings by experienced nuclear medicine physicians (>3 years’ experience). SPECT data of the liver were acquired using a medium-energy general purpose collimator, on a 128 × 128 matrix (pixel size, 4.8 × 4.8 mm) with 120 angles (20 s per projection) over a non-circular 360° orbit and photonpeak energy window centred around 81 keV with a width of 15%. Low-dose CT data (110 kVp, 40 mAs, adaptive dose modulation with Siemens CARE Dose 4D) were acquired and reconstructed to a voxel size of 1.27 × 1.27 × 5 mm using a smoothing kernel (B08s; Siemens Healthcare). After a CT-derived attenuation map was created (Syngo MI Applications; Siemens Healthcare), quantitative SPECT images were reconstructed with ten iterations, with eight subsets using the Utrecht Monte Carlo System (UMCS), an in-house-developed Monte Carlo simulator, incorporating Monte Carlo-based scatter correction, attenuation correction, and modelling of photon interaction with the collimator and detector [8, 9, 10]. To estimate the accuracy of our measurement, a National Electrical Manufacturers Association (NEMA) NU2 image quality (IQ) phantom was used. This contains six spheres of sizes varying between 0.5 and 26.5 ml suspended in a water-filled background compartment of 9.7 L. All spheres were filled with a 166Ho acidic solution of known activity concentration and scanned identically to the protocol used for the 166Ho scout dose SPECT/CT, as described previously . Activity and volume estimation was carried out similarly to the earlier study using additional in-house-developed software (Volumetool) [3, 11]. Manual delineation of the extrahepatic deposition was performed by taking a large enough margin around the extrahepatic deposition to include all displaced counts due to breathing, patient motion and partial volume effects (excluding intrahepatic activity). The extrahepatic activity was estimated by summation of all voxels (in units of Bq), without the use of a threshold, within the manually delineated extrahepatic deposition, preventing underestimation of the extrahepatic activity (and thus of absorbed dose). The threshold for volume delineation was determined in our phantom study and was defined as a percentage of the maximum voxel value. The threshold was applied to the same manual delineation in our case series to determine the extrahepatic deposition volume. A threshold was chosen to approximate or underestimate the volume (but not overestimate). This resulted in an overestimation of the extrahepatic tissue absorbed dose, which should decrease the possibility of a type II error: failure to reject the null hypothesis “Use of 166Ho scout dose is safe”. where 15.87 mJ/MBq is the total energy absorbed in tissue from the beta decay of 1 MBq of 166Ho assuming soft tissue density of 1.06 g/cm3 . The mean penetration of the beta emission of 166Ho (2.5 mm) is small, so all energy was assumed to be absorbed within the extrahepatic deposition . The beta radiation accounts for 96% of the emitted energy (=15.87 mJ/MBq), the other 4% of the energy is for the most part emitted by high-energy (>1 MeV) gammas. Because of the large penetration distance of these gamma's, and the inverse square law, the absorbed radiation dose to surrounding tissues, due to the high-energy gamma’s, is negligible. A total of 90 patients were included in the trials. After the initial 99mTc-MAA procedure in the HEPAR and HEPAR-2 trial, eight patients were excluded. Five patients were excluded based on earlier 99mTc-MAA findings (excessive lung shunt or extrahepatic deposition) and three due to technical reasons (dissection resulting in a permanent stenosis or new collaterals). A total of 82 patients with moderate to extensive bilobar disease received a 166Ho scout dose at our institute (Table 2). A mean scout dose of 244 MBq was administered (median 251 MBq; range 103–313 MBq). Six patients (7.9%) had an extrahepatic deposition, which will be discussed in detail in the next section. Table 3 provides all the adverse events after the scout dose administration (prior to therapeutic dose administration) and adverse events related to the pre-treatment angiography procedure. No adverse events that were possibly, probably or definitely related to the 166Ho scout dose occurred. Six patients had an extrahepatic deposition of the 166Ho scout dose (Figs. 1, 2, 3, 4, 5 and 6): one HEPAR, three HEPAR 2, one HEPAR PLUS and one SIM candidate [4, 5, 6, 7]. Baseline characteristics can be found in Table 4. Median LSF (of these patients) was 13.3% (range 9.4–17.6). Median follow-up was 4 months (range: 1–12 months). Patients 2 and 4, respectively depicted in Figs. 2 and 4, were excluded from treatment, as the culprit vessels remained unidentified, so treatment was deemed unsafe. After focused reviewing of the old DSA images several years later, probable culprit vessels were identified. In patient 2 the right gastric artery was the probable culprit vessel, as its origin was exactly at the tip of the microcatheter during the 166Ho scout dose injection (Fig. 2). In patient 4 an intrahepatic collateral was the culprit vessel, which fed the region of the coil-embolised gastroduodenal artery (Fig. 4). A threshold of 30% of the maximum voxel value was chosen based on our phantom study because it provided an underestimation of the volume in all spheres (Fig. 7a). Using this threshold, the absorbed dose in only the smallest sphere (0.5 ml) was underestimated (Fig. 7b; due to simultaneous underestimation of the activity). This was deemed irrelevant from a clinical point of view, because the earlier published study with 99mTc-MAA data had no depositions smaller than 1 ml in a larger patient population . Based on the 166Ho scout dose SPECT/CT, the absorbed dose on extrahepatic tissues by the scout dose was assessed (Table 4). Calculations in these patients showed a median extrahepatic deposition volume of 15.3 ml (range 9.2–35.5 ml) and median absorbed dose of 3.6 Gy (range 0.3–13.8 Gy). The maximum absorbed dose to extrahepatic tissues was 13.8 Gy. The method used conservatively underestimated the volume of the deposition to reduce the risk of underestimating the absorbed dose. Although extrahepatic depositions of 166Ho occurred, the resulting absorbed doses were estimated to be at most 14 Gy. The extrahepatic deposition in patient 1, depicted in Fig. 1, was also seen on the earlier 99mTc-MAA SPECT/CT and the culprit vessel was unidentified at the time of treatment (it was only identified after focused retrospective reviewing). Patient 1 was treated at that time, because she had no other therapeutic options and had very aggressive disease. Within several days, the patient developed abdominal pain (maximum CTCAE grade 4) and the post-treatment SPECT/CT showed the same extrahepatic deposition in the duodenum. Using the same quantitative SPECT-reconstruction method for the post-treatment imaging, a radiation-absorbed dose in the duodenum of 134.5 Gy was calculated. Endoscopy revealed an inflamed duodenal wall, which fitted a radiation-induced (non-erosive) duodenitis. No severe complications (e.g. perforation) occurred. Her duodenitis recovered after 6 weeks and she passed away 4 months after treatment due to progressive disease. The extrahepatic deposition in the falciform ligament in patient 6, depicted in Fig. 6, was deemed irrelevant and the patient was treated the same day without ice packing of the abdominal skin. No clinical complications occurred (e.g. radiation dermatitis) during follow-up. Using the same quantitative SPECT-reconstruction method for the post-treatment imaging, a radiation absorbed dose in the falciform ligament of 33.5 Gy was calculated. Four months after the treatment, the patient started a new chemotherapeutic regimen due to progressive disease and was lost to follow-up. As shown in this study, no adverse clinical events occurred that were related to the use of a 166Ho scout dose. Common adverse events related to the angiography table or procedure were seen and are similar to those seen in 99mTc-MAA-related procedures. In patients with extrahepatic depositions of the scout dose, a maximum of 14 Gy in extrahepatic tissues was calculated. Although the calculated 14 Gy was overestimated due to the overestimation of the deposited activity and underestimation of the extrahepatic deposition volume, this absorbed dose was far below the limit of 49 Gy as suggested by Kao et al [17, 18]. These clinical results of the 166Ho scout dose confirm the previously published safety assumptions based on theoretical evaluation using 99mTc-MAA data . However, the limit of 49 Gy suggested by Kao et al. is based on just two patients [17, 18]. Additionally, the absorbed dose in extrahepatic tissue is being discussed in the literature, as the limits could be even higher depending on the extrahepatic tissue type. In six porcine models, absorbed doses greater than 50 Gy (up to 92 Gy) in the gastric fundus showed mucosal haemorrhage or small (healed) superficial ulcers without a severe complication (e.g. perforation) . Nonetheless, dose limitations for different tissue types need to be investigated further. Based on the HEPAR and HEPAR 2 data, using a 99mTc-MAA procedure prior to the 166Ho scout dose procedure, the use of a 166Ho scout dose alone for radioembolisation assessment was deemed safe. Along with the suspected limited extrahepatic tissue dose and its safety, both supported by this study, we have skipped the 99mTc-MAA procedure in more recent studies with 166Ho microspheres, namely the SIM and HEPAR-PLUS study [6, 7]. Using 166Ho microspheres as a scout dose could benefit patients. The variation in intrahepatic distribution between the scout dose and treatment dose is expected to be minimal, due to the identical morphology of the microspheres. This is important for accurate intrahepatic dosimetry, especially when using the so-called ‘partition calculation method’ or voxel-based dosimetry, which is based on SPECT/CT of the scout dose distribution . Currently, it is known that a large intrahepatic variability between 99mTc-MAA and 90Y microspheres exists, probably influenced by many factors, including tumour type and burden, particle flow dynamics and catheter positioning, but also particle morphology [2, 20, 21]. Additionally, unlike 99mTc-MAA and free pertechnetate, 166Ho does not freely circulate in vivo. No unwanted uptake of activity in the stomach wall, kidneys, thyroid and lungs occurs. Due to its identical particle morphology and the absence of freely circulating 166Ho, a166Ho scout dose is superior in lung shunt fraction calculation compared to 99mTc-MAA . As shown by Elschot et al. with SPECT/CT data, 99mTc-MAA may overestimate the lung shunt fraction up to 170% when compared to 166Ho microspheres. Yu et al. also showed a significant overestimation of the lung shunt fraction by 99mTc-MAA using standard planar scintigraphy compared to SPECT/CT . Considering their data, most patients with a lung shunt fraction of >20% on planar 99mTc-MAA imaging are wrongfully refused for radioembolisation treatment, which can be overcome by the use of a 166Ho scout dose. The use of 166Ho microsphere scout dose imaging is safe, could lead to more reliable pre-treatment imaging and subsequently to improved individualised treatment planning. Another benefit of holmium is its large magnetic susceptibility (typical for most lanthanides), which may enable MRI-based dosimetry  and MR-guided treatments  in the future. Once MRI-based dosimetry is adequately developed, the scout dose may eventually be replaced for the stable, non-radioactive 165Ho microspheres. Nonetheless, the fabrication process of 166Ho-microspheres is more complicated and time-consuming than 99mTc-MAA, which is widely available through using one of the several commercially available 99mTc-MAA kits for in-house production. Currently, commercial availability of 166Ho-microspheres is limited, but is expected to improve in the coming years. The main limitation of this study was the fact that the safety analysis was limited by the number of events. However, theoretical and clinical analysis concordantly showed an acceptable low risk of toxicity. An additional limitation was the use of a pre-treatment angiography procedure with 99mTc-MAA prior to the 166Ho scout dose procedure in the HEPAR and HEPAR 2 trials, resulting in a selection bias as five patients were excluded based on 99mTc-MAA findings and these five patients did not receive a 166Ho scout dose. Four patients were excluded based on a 99mTc-MAA extrahepatic deposition and one patient was excluded based on a 99mTc-MAA lung shunt of 26.5%. Additionally, microcatheter positioning was altered based on the 99mTc-MAA-SPECT/CT in another patient, to prevent an unwanted gallbladder deposition. The calculation of absorbed dose is prone to the same limitations as described in the earlier publication . The 30% threshold was based on a homogenous activity distribution in the spheres of our phantom versus a more heterogeneous accumulation of activity in extrahepatic depositions. Additionally, the phantom study is an ideal situation without breathing artefacts or patient movements. In none of the six patients with an extrahepatic deposition of 166Ho microspheres were cone beam CTs performed prior to injection of the scout dose. Without the use of cone beam CTs, up to 6.5% of the cases still have an extrahepatic deposition on the SPECT/CT, when DSA is negative . 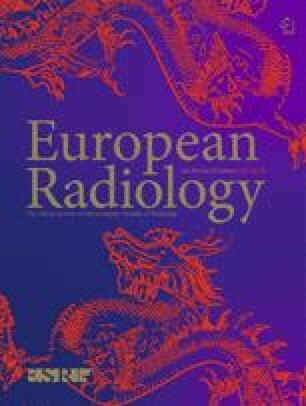 The introduction of improved pre-treatment CT imaging and cone beam CT during the radioembolisation procedures has probably contributed to a decrease in the number (and probably also extent) of extrahepatic depositions . The use of cone beam CT has improved the detection of potential culprit vessels during the angiography procedure. The use of a scout dose SPECT/CT is therefore debated in the literature [26, 27, 28]. Nonetheless, once both DSA and cone beam CT are negative, the use of 166Ho microspheres for the detection of extrahepatic depositions becomes even safer. Additionally, the 81 keV gamma-emitting properties of 166Ho make dual-isotope imaging with 99mTc compounds possible. We have developed a dual-isotope protocol using 166Ho scout dose and 99mTc stannous phytate, respectively, for microsphere distribution and healthy liver parenchyma delineation . Using this combination, dose-volume histograms of healthy liver parenchyma can be easily calculated and allows the physician to calculate the maximum, safe to use therapeutic dose in a patient. The main advantage is the quick insight in the dose to healthy liver parenchyma, which is the main limiting factor in all radioembolisation treatments. This study clinically supports the previously stated hypothesis that the use of 166Ho microspheres as a scout dose (250 MBq) prior to radioembolisation is a safe alternative for 99mTc-MAA. The scientific guarantor of this publication is Prof. Dr. M.G.E.H. Lam, nuclear medicine physician and head of the Nuclear Medicine department. MGEHL has acted as a consultant for BTG, Sirtex, Mirada and Bayer Healthcare. The University Medical Centre Utrecht (UMC Utrecht) receives royalties from Quirem Medical, producer of 166Ho microspheres. Research projects mentioned in de manuscript received funding by the Dutch Cancer Society (KWF Kankerbestrijding), under grant UU2009-4346 and by the Technology Foundation STW under grant 6069. Written informed consent was obtained from all subjects (patients) in all the separate trials mentioned in this study.